Why Are So Many Young Artists Releasing B-Sides and Rarities Albums So Early in Their Careers? Angel Olsen, Sharon Van Etten and Whitney are just some of the younger musicians who have released compilations in 2017. 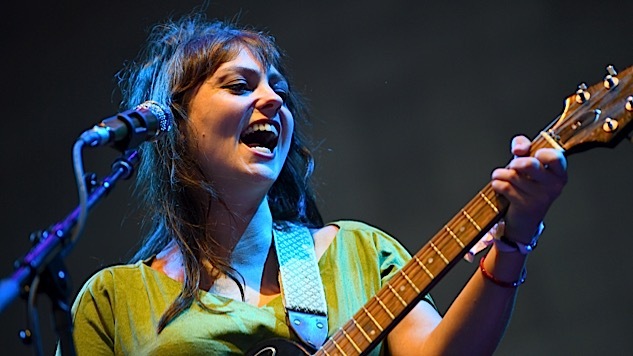 Among the crop of compilation albums and reissues this fall are titles by a few unexpected names, including Angel Olsen (pictured above), Lydia Loveless, Sharon Van Etten and the band Whitney. Not only are they younger than most of the acts that tend to repackage existing albums or put out song collections, their respective discographies are slender in comparison to, say, those of Bob Dylan, Little Richard, Pink Floyd, R.E.M., Wilco and other veteran artists mining their catalogs in 2017. Loveless, 27, and Van Etten, 36, have each released four full-length albums. Olsen, 30, has put out three. Whitney, which formed in 2015, released their lone LP last year. So what accounts for a spate of relative youngsters digging out rare or overlooked material? For that matter, how much of that material can there even be? More than you’d think, at least in some cases. There are several reasons younger artists are getting into the catalog game, their representatives say. It helps to maintain a public presence in between albums of new material, for one thing. Compilations also give acts something to promote in conjunction with a tour. Yet managers and label bosses seemed surprised to be asked about business considerations. To them, collecting and releasing songs that had been scattered among small-batch 7-inch pressings, overseas album bonus tracks, or tunes that didn’t fit on other recordings, is a service to fans. The same impulse prompted Bloodshot Records to compile Boy Crazy and Single(s), which pairs Loveless’s 2013 EP Boy Crazy with six non-album singles and covers of songs by Prince, Elvis Costello and Kesha. The label pressed a few thousand copies of the original EP on CD, which quickly sold out, and some of the singles were limited-edition releases for Record Store Day. Though all the material had been available in digital form, Bloodshot released Boy Crazy and Single(s) on vinyl and CD. In the digital era, when musicians are constantly offering up content to feed what label co-owner Rob Miller calls “the never-satiated gaping maw of the internet,” making a physical product seemed worthwhile. 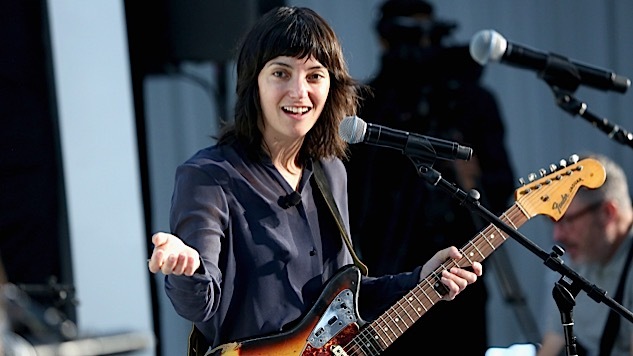 Sharon Van Etten wanted a break from the record-tour-repeat cycle, so she reissued her 2009 debut album. The Chicago folk-rock outfit Whitney aren’t even 18 months removed from the release of their lauded debut album, Light Upon the Lake. But this month they released Light Upon the the Lake: Demo Recordings, a companion record. Another 21st-century band, Beach House, put out the compilation B-Sides and Rarities earlier this year to fill in the gaps among their six albums. “The idea for a B-sides record came when we realized just how many non-album songs had been made over the years, and how hard it was to find and hear many of them,” the band wrote in a press bio on their label’s website. ICYMI: Watch unreleased footage of R.E.M.’s only concert in support of 1992’s Automatic for the People, which was just reissued. It doesn’t hurt that all of those artists are between other musical projects. Loveless released her most recent LP, Real, in April 2016. Compiling her EP and singles was a way to keep her name out there while she works on the next album, which Miller hopes will ready by the end of next summer. “I didn’t want her to go two-plus years without something being out there, something substantial,” he says.